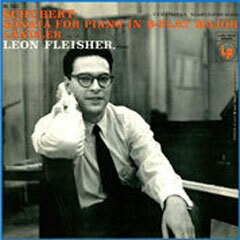 While at a rummage sale, I came across two of pianist Leon Fleisher's six recordings on LP. It's not easy to find Fleisher recordings. In the mid-1960s, he developed a neurological problem, focal dystonia, which caused two fingers of his right hand to become immobile. Thus, the body of his recorded work is over 40 years old and was unreleased on CD -- until now. To commemorate Fleisher's 80th birthday, Sony BMG Masterworks has released those six recordings in digital format through iTunes and other music-download providers. But for those of us who prefer to own the digital media, there are "on demand" CDs available from Arkiv Music. Actually these are CD-Rs with full artwork and liner notes created as they are ordered. This sales model allows Arkiv Music to keep its overhead low, creating the discs only as they are purchased, and fans of classical piano can finally hear Leon Fleisher's important readings of Liszt and Brahms without having to find his LPs at a rummage sale or on eBay. The CDs sound spacious and detailed, not at all sonically dated. But the new ideas on music distribution and marketing don't end there. Fleisher has also recorded a series of podcasts that are available on iTunes. A renowned music teacher, he recounts the challenges of his early career, most significantly his battle with focal dystonia. He also recalls his interactions with some of the most formidable musical artists of the 20th century, including Artur Schnabel, George Szell and Leonard Bernstein. To hear these podcasts, go to www.sonybmgmasterworks.com/podcast/. After decades of treatment, Fleisher began playing with both hands again in 1995, and he is touring in support of his CDs. This is the only nod to tradition in the release and promotion of these older recordings made new again. 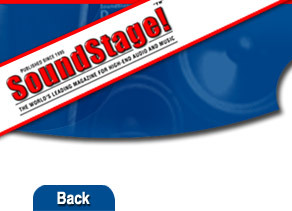 All Contents Copyright © SoundStage!. SoundStage! is part of Schneider Publishing Inc.